Mayor Law moved to Burkburnett in 1958 to attend Midwestern University. He intended to move on after graduation; however, he met Eloise Morris at church and decided to stay. They married and had two daughters (Stacy and Cindy). Both daughters and their husbands graduated from MSU. Stacy has two daughters (Sydney and Sadie), and Cindy has two sons (Cal and Stoney). The Mayor graduated from MSU and then attended St. Mary’s University in San Antonio where he earned a Master of Counselling degree. He served in the Army then worked as a civilian for the Air Force, retiring as a GS-14 training manager. Eloise retired from BISD administration in 2004. 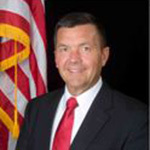 Mayor Law serves on the Grace Ministries Board of Directors and is chairman of the deacons at First Baptist Church. He volunteers at United Regional Medical Center. 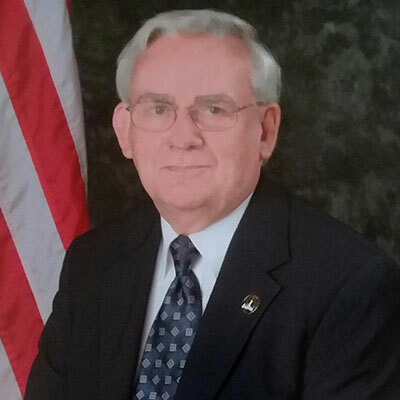 He was selected as the Chamber of the Commerce Citizen of the Year in 2010. Commissioner Bill Lindenborn first moved to Burkburnett in October 1957 as a proud dependent of an Air Force family. He settled here for good in 1971 upon his father’s retirement from the United States Air Force. He married his High School sweetheart, Cherry and they have two grown children and five grandchildren. They are active members of Jan Lee Baptist Church. Bill is a longtime Sales Consultant at Pruitt Ford and Lipscomb Chevrolet here in Burkburnett. Bill is a past member of the Burkburnett Volunteer Fire Department. He has supported the local youth programs by coaching and sitting on various boards and committees of the Burkburnett Little League and Boys and Girls Clubs. 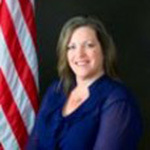 Commissioner Lindenborn was elected in May 2009. He currently serves on the Burkburnett Development Corporation Board of Directors and the Hotel Occupancy Tax Committee. Commissioner Randy Brewster decided to call Burkburnett his home in early 2006. Randy and his wife, Donna made the move to Burkburnett because they realized the value of a great community for raising their three children. They are members of First Baptist Church in Burkburnett. Mr. Brewster graduated in 1998 from Midwestern State University with a bachelor’s degree. He is employed by First Bank. Commissioner Brewster is involved with the Burkburnett Chamber of Commerce, Burkburnett Boys and Girls Club, Boomtown Lions Club, and the Roustabouts. He also enjoys lazy days at the lake and spending time with his family. He was elected May 2011. Jeremy has lived in Burkburnett since 2008. He is a tenured, associate professor of Political Science at Midwestern State University. While he works in Wichita Falls, his family chose to live in Burkburnett because of the benefits a small, close-knit community provides to a family. Jeremy is married to Tracy, who is a math teacher at Burkburnett Middle School. They have two children, Lydia (age 6) and Ryan (age 2). 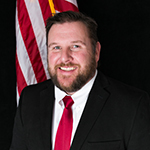 Jeremy graduated with a Bachelor of Arts in Political Science from Texas A&M and, in 2008, graduated from Michigan State University with a Ph.D. in Political Science. He is a current member, and former President, of the Boomtown Lions Club. He is a member of the Burkburnett Senior Citizens Activity Center Board of Directors, a member of the Burkburnett Roustabouts, and a member of the Sheppard Young Ambassadors Organization. He also served as a member of the City of Burkburnett Ad-Hoc Charter Review Committee. 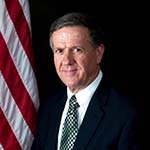 Commissioner Duff was elected in 2016. Commissioner Marguerite Love has lived in Burkburnett since 1971. She is married to Brian Love and her children are Jacob Guffey, Kristin Guffey and Jayson Love. A 1983 graduate of BHS, she began her insurance career through the Office Education Assn. program. She has been a General Lines Agent since 1994 and is an Agency Producer with Farmers Insurance Group in Matt Horn's Insurance Agency. They are members of First Baptist Church of Burkburnett. Commissioner Love has served on the Burkburnett Boys & Girls Club board since 1991. She is also a member of the Yellow Rose Sertoma Club in Burkburnett. Her love of people, helping those in need and bringing citizens together for a common purpose is what led her to serve on the city council. 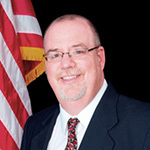 Commissioner Love was elected in May 2012. Commissioner Don Hardy has lived in Burkburnett for 44 years. He is a graduate of Burkbunett High School and Midwestern State University. He is married to Lea Ann and they have 2 adult children, Ryan Hardy and his wife Brandace and Sara Rennhack and her husband Andy. They also have 6 granddaughters and 1 grandson. Commissioner Hardy is the Owner/Broker of Don Hardy Homes Real Estate. Commissioner Hardy is a member of First Baptist Church of Burkburnett. He previously served on the Parks and Recreation Board and as a City Commissioner from May 2012 through May 2016. 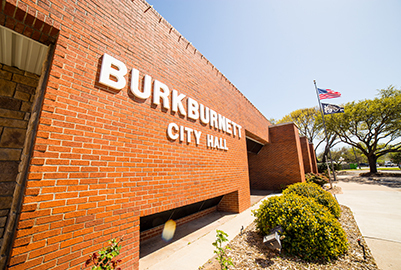 Commissioner Hardy's goal is to be available to all citizens of Burkburnett and bring a positive, can do attitude to the Board of Commissioners. He would like for our slogan of "You're Home Now" to truly be something that all the citizens of Burkburnett would be proud to be part of.